BEZANYA TERENGGANU BERLAWAN KUDA TAPI KELANTAN LAWAN ORANG, MANUSIA! DUA-DUA BERTARAF ANTARABANGSA… GLOBAL. INI BERMAKNA NEGERI DI PANTAI TIMUR TELAH MAJU BANYAK TAPAK. INSYAALAH DENGAN TSUNAMI GLOKAL YANG BAKAL DIBAWA OLEH DS NAJIB MULAI MAC 2009 KELAK… TIGA NEGERI YANG AGAK LAMA KETIDURAN INI AKAN BANGKIT MENJADI GERGASI DALAM SEGALA BIDANG. BEBUDAK CAKAP GIANT! APA ISTIMEWANYA ORANG KELANTAN MELAYU SEBENAR? KHAS UNTUK MEREKA YANG KATA MELAYU NI PUN SAMA PENDATANG DAN PEMARI MACAM MEREKA. MAKA ABE MINTA SUPAYA LAYARI BLOG DI ATAS. APA YANG SYOKNYA KALAU TERBUKTI ABE DAN SAUDARA MARA DI KELANTAN TU TERBUKTI SEBAGAI MELAYU SEBENAR MAKA APA KEISTIMEWAAN YANG ORANG KELANTAN AKAN DAPAT? AKAN ADA PERBEZAAN KE PERUNDANGANNYA ANTARA MELAYU MODEN DENGAN MELAYU PROTO? ARTIS NI MELAYU SEBENAR KE MELAYU CELUP? KOMEN – HARI INI DALAM UTUSAN MALAYSIA MS 13 DILAPORKAN PEMIMPIN MCA IAITU DATUK SERI ONG TEE KIAT, PRESIDEN MCA DAN TIMBALANNYA DATUK SERI DR CHUA SOI LEK JUGA SETUJU UNTUK MENUBUHKAN BIRO PEMANTAUAN POLISI KERAJAAN, KHASNYA BAGI MEMBELA ORANG CINA. CUMA YANG ABE MUSYKIL IALAH HAL DATUK ZAID IBRAHIM, BEKAS MENTERI JAGA UNDANG2 DI JPM. BELIAU ORANG KELANTAN JUGA TAPI ADAKAH DIA DAPAT STATUS MELAYU SEBENAR? GAIA -WORLD NEW ORDER RULED FROM INTERNET. KITA DI MANA? Aceh (pronounced Ah-chay) is a special territory (daerah istimewa, or “special area”) of Indonesia, located on the northern tip of the island of Sumatra. Its full name is Nanggroe Aceh Darussalam; past spellings of its name include Acheh, Atjeh and Achin. The people living in Aceh primarialy call themselves Acehnese. In the past, Aceh was known for its political independence and fierce resistance to control by outsiders, including the former Dutch colonists and the Indonesian government. From 1976 until the tsunami in 2004, Aceh was torn by a separatist conflict waged by the Free Aceh Movement (Gerakan Aceh Merdeka – GAM) against the Jakarta government rooted in issues over control of resources, and over cultural and religious issues. Aceh has substantial natural resources, including oil & gas – some estimates put Aceh gas reserves as being the largest in the world. Relative to most of Indonesia, it is a religiously conservative area. Aceh was the closest point of land to the epicenter of the massive 2004 Indian Ocean earthquake, which triggered a tsunami that devastated much of the western coast of the region, including part of the capital of Banda Aceh. From 130,000 – 238,000 persons were dead or missing, with a further 500,000 plus being made homeless. One positive aspect of this tragedy has been a peace agreement between the government of Indonesia and GAM, with the signing of a MoU on 15th August, 2005. As of February 2006, the peace has held strong, with most Aceh residents optimistic for continued peace. The population of Aceh before Dec 2004 tsunami was 4.271 million (Data from KPU (General Election Commitee) in 2004). The population now is 4,031,589 (As 15 September 2005), almost two percent of the Indonesian population. As of February 2006, more than a year after the tsunami, a large number of people are still living in barrack-style temporary living centers (TLC) or tents. Reconstruction is visible everywhere, but due to the sheer scale of the disaster, logistical issues, and the lack of funding, progress is slow. Most Acehnese however, are very optimistic for the future. Many see the tsunami as a mixed blessing, bringing peace and an international presence to Aceh. As homes are being built and peoples basic needs are met, the people are also looking to improve the quality of education, increase tourism, and develop responsible, sustainable industry. Well-qualified educators are in high demand in Aceh. The historical artifacts shows that Islam first entered Southeast Asia through Aceh in the 8th century. The first Islamic Kingdom of Peureulak was established around 850 AD in nowadays East Aceh district with Banda Khalifah as its capital. Then follows Samudra Pasai (where the name Sumatera originated from) in nowadays North Aceh district, which were recorded by Marco Polo and Ibn Batutah during the reign of Sultan Malik uz Zahir. The Kingdom of Aceh was established initially as a small Islamic kingdom in nowadays Banda Aceh during 12th century AD. During its golden era, its territory and political influence expanded significantly as far as Satun in southern Thailand, Johor in Malay Peninsula, and Siak in nowadays Riau province. From the beginning of 16th century, the Sultanate of Aceh was involved in an almost continuous power struggle first with Portugal, then from 18th century against British and Dutch colonial interests with varying successes. At the end of 18th century Aceh had to give up its traditional territory of Kedah and Pulau Pinang in Malay Peninsula to British. By the early nineteenth century, however, Aceh had become an increasingly influential power due to its strategic location for controlling regional trade. In the 1820s it was the producer of over half the world’s supply of pepper. The pepper trade produced new wealth for the sultanate, but also for the rulers of many smaller nearby ports that had usually been under Aceh’s control, but were now able to assert more independence. These changes initially threatened Aceh’s integrity, but a new sultan Tuanku Ibrahim, who controlled the kingdom from 1838 to 1870, aggressively, and successfully, reasserted power over nearby ports. Under the Anglo-Dutch Treaty of 1824 the British ceded their colonial possessions on Sumatra to the Dutch. In the treaty, the British described Aceh as one of their possessions, although they had no actual control over the sultanate. Initially, under the agreement the Dutch agreed to respect Aceh’s independence. In 1871, however, the British dropped previous opposition to a Dutch invasion of Aceh, possibly to prevent France or the United States from gaining a foothold in the region. Although neither the Dutch nor the British knew the specifics, there had been rumors since the 1850s that Aceh had been in communication with rulers of France and of the Ottoman Empire. The Aceh war The Dutch colonial government declared war on Aceh on 26 March 1873; the apparent immediate trigger for their invasion was discussions between representatives of Aceh and the United States in Singapore during early 1873. An expedition under general-major Köhler was sent out in 1874, which was able to occupy most of the coastal areas. It was the intention of the Dutch to attack and take the Sultan’s palace, which would also lead to the occupation of the entire country. The Sultan requested and possibly received military aid from Italy and the United Kingdom in Singapore: in any case the Aceh army was rapidly modernized, and Aceh soldiers managed to kill Köhler (a monument of this achievement has been built inside Masjid Raya Banda Aceh). Köhler made some grave tactical errors and the reputation of the Dutch was severly harmed. A second expediton led by general Van Swieten managed to capture the kraton (sultan’s palace): the Sultan had however been warned, and had escaped capture. Intermittent guerrilla warfare continued in the region for ten years, with many victims on both sides. Around 1880 the Dutch strategy changed, and rather than continuing the war, they now concentrated on defending areas they already controlled, which were mostly limited to the capital city (modern Banda Aceh), and the harbour town of Ulhee Lheue. On 13 October 1880 the colonial government declared the war as over, but continued spending heavily to maintain control over the areas it occupied. An Aceh fort after capture by the Dutch in a 1901 photographWar began again in 1883, when the British ship Nisero was stranded in Aceh, in an area where the Dutch had little influence. A local leader asked for ransom from both the Dutch and the British, and under British pressure the Dutch were forced to attempt to liberate the sailors. After a failed Dutch attempt to rescue the hostages, where the local leader Teuku Umar was asked for help but he refused, the Dutch together with the British invaded the territory. The Sultan gave up the hostages, and received a large amount in cash in exchange. The Dutch Minister of Warfare Weitzel now again declared open war on Aceh, and warfare continued, with little success, as before. The Dutch now also tried to enlist local leaders: the aforementioned Umar was bought with cash, opium, and weapons. Umar received the title panglima prang besar (upper warlord of the government). Umar called himself rather Teuku Djohan Pahlawan (Johan the heroic). On 1 January 1894 Umar even received Dutch aid to build an army. However, two years later Umar attacked the Dutch with his new army, rather than aiding the Dutch in subjugating inner Aceh. This is recorded in Dutch history as “Het verraad van Teukoe Oemar” (the treason of Teuku Umar). In 1892 and 1893 Aceh remained independent, despite the Dutch efforts. Major J.B. van Heutsz, a colonial military leader, then wrote a series of articles on Aceh. He was supported by Dr Snoeck Hurgronje of the University of Leiden, then the leading Dutch expert on Islam. Hurgronje managed to get the confidence of many Aceh leaders and gathered valuable intelligence for the Dutch government. His works remained an official secret for many years. In Hurgronje’s analysis of Acehnese society, he minimised the role of the Sultan and argued that attention should be paid to the hereditary chiefs, the uleebalang, who he felt could be trusted as local administrators. However, he argued, Aceh’s religious leaders, the ulama, could not be trusted or persuaded to cooperate, and must be destroyed. This advice was followed: in 1898 Van Heutsz was proclaimed governor of Aceh, and with his lieutenant, later Dutch Prime Minister Hendrikus Colijn, would finally conquer most of Aceh. They followed Hurgronje’s suggestions, finding cooperative uleebelang that would support them in the countryside. Van Heutsz charged colonel Van Daalen with breaking remaining resistance. Van Daalen destroyed several villages, killing at least 2,900 Acehnese, among which were 1,150 women and children. Dutch losses numbered just 26, and Van Daalen was promoted. By 1904 most of Aceh was under Dutch control, and had an indigenous government that cooperated with the colonial state. Estimated total casualties on the Aceh side range from 50,000 to 100,000 dead, and over a million wounded. Colonial influence in the remote highland areas was never substantial, however, and limited guerrilla resistance remained. Lead mostly by the religious ulama, intermittent fighting continued until about 1910, and parts of the province were still not pacified when the Dutch Indies became independent Indonesia following the end of the Japanese occupation of Indonesia. Independence During the Indonesian National Revolution after World War II, when the Dutch military attempted to regain control of its former colony, Dutch forces did not attempt to invade Aceh. Upon independence, Indonesian troops were dispatched to annex the region, causing resentment over what some Acehnese viewed as foreign occupation by forces from Java. From then until the Tsunami, there were periodic armed conflicts between the Indonesian military and local forces fighing for greater separation from the central government. In 1959 the Indonesian government yielded in part and gave Aceh a “special territory” (daerah istimewa) status, giving it a greater degree of autonomy from the central government in Jakarta than most other regions of Indonesia have. For example, the regional government is empowered to construct a legal system independent of the national government. In 2003, a form of sharia, or Islamic law, was formally introduced in Aceh. Tsunami disaster The western coastal areas of Aceh, including the cities of Banda Aceh, Calang, and Meulaboh, were among the areas hardest-hit by the tsunami resulting from the 2004 Indian Ocean earthquake on December 26, 2004. While estimates vary, approximately 230,000 people were killed by the earthquake and tsunami in Aceh, and about 400,000 were left homeless. While parts of Banda Aceh, the capital, were unscathed, the areas closest to the water, especially in Kampung Jawa, were completely destroyed. Most of the rest of the western coast and outlying islands were severely damaged, and many towns completely disappeared. Other towns on Aceh’s west coast hit by the disaster include Leupung, Lamno, Patek, Calang, Teunom, and the island of Simeulue. Affected or destroyed towns on the region’s north & east coast include Pidie, Samalanga, and Lhokseumawe. The area is slowly being rebuilt after the disaster. The government initially proposed the creation of a two-kilometer buffer zone along low-lying coastal areas, within which permanent construction is not permitted. This proposal was unpopular among some local inhabitants and proved impractical in most situations, especially fishing families that are dependent on living near to the sea. Most of the reconstruction work is being performed by local people using a mix of traditional methods and partial prefabricated structures, with funding coming from many international organizations and individuals, governments, and the people themselves. Secession movement Aceh has a long history of resistance to control by outside forces; since Indonesian independence, this has meant resistance to control by the national government in Jakarta. This resistance has both economic and sociocultural roots. Many Acehnese people feel that most of the economic benefits of the region’s great natural resources, especially oil, leave the region and benefit the Jakarta government and foreign corporations instead of the local area. Aceh possesses one of Indonesia’s largest reserves of oil and natural gas. A number of multinational corporations, such as Exxon Mobil, maintain a presence in Aceh. The sociocultural divide between Aceh and the rest of Indonesia exists for several reasons. The Acehnese practice fully the teaching of Islam, while the rest of the archipelago tend to blend Islam with animism and local tradition, due to its historical trade links with the Middle East. The secular nationalism espoused by Suharto’s New Order regime (1965-1998), which promoted ‘Indonesian culture’, was viewed by many Acehnese as merely a cover for Javanese chauvinism and a threat for their Islamic tradition. This dissatisfaction has led to movements to push for greater autonomy or complete separation. It was out of these groups that the armed secessionists of the Free Aceh Movement (GAM) emerged. Conflict between the GAM and Indonesian forces led to the province being subject to martial law and being named a “military operational zone” (DOM) by the Suharto government. After the Suharto regime fell in 1998, Aceh quieted down substantially leading to a 2002 Cessation of Hostilities Agreement (CoHA) between the GAM and the Indonesian military. This collapsed in May 2003, however, and the government introduced martial law and began a large-scale offensive in the region. In November 2003, martial law was extended for a further six months. According to a Human Rights Watch report , the Indonesian military committed widespread human rights abuses during the invasion and occupation, with more than 100,000 people being displaced in the first seven months of martial law and extra-judicial killings being common. After the devastating tsunami in December 2004, both sides declared a cease-fire and reiterated the need to resolve the conflict. Because of the past separatist movement in the area, the Indonesian government used to have access restrictions in place on the press and aid workers. The Indonesian government has now, however, opened the region up to all tourists and other visitors able to enter other parts of Indonesia. The administration of President Susilo Bambang Yudhoyono, inaugurated in late 2004, has also expressed a somewhat greater willingness to negotiate with rebel forces in the aftermath of the disaster. Yudhoyono has suggested the possibility of further increased autonomy for the region, and of amnesty for former rebels. In 2005 peace talks held in Finland have resulted in a peace agreement that would end the long war in Aceh. Treaty was signed in Helsinki on August 15 2005. EU and five Southeast Asian countries will send 250 observers to ensure peace in the region. It remains to be seen if this peace treaty will be effective as fighting has continued during the peace talks, however in December 2005, the military wing of GAM was formally disbanded as a fighting force while at the same time, the final pull out of Jakarta troops took place, leaving in place in Aceh a military force composed of “organic” (i.e. indigenous Achinese) troops. Although Indonesian law bans solely regional parties contesting elections, even at a regional level, as part of the peace agreement, the Jakarta government has agreed to modify legislation which will allow GAM – a purely Achinese organisation – to contest elections on a provincial level. As of February 2006, there has been a steady peace in Aceh. Administration Within the Republic of Indonesia, Aceh is governed not as a province but as a special territory (daerah istimewa), an administrative designation intended to give the area increased autonomy from the central government in Jakarta. The capital and largest city in Aceh is Banda Aceh, located on the coast near the northern tip of Sumatra. Other major cities include Sabang, Lhokseumawe, and Langsa. Administratively, the province is subdivided into seventeen regencies and four municipalities. These local political subdivisions are Aceh Barat (West Aceh), Aceh Barat Daya, Aceh Besar, Aceh Jaya, Aceh Singkil, Aceh Selatan (South Aceh), Aceh Tenggara (Southeast Aceh), Aceh Timur (East Aceh), Aceh Tengah (Central Aceh), Aceh Utara (North Aceh), Bireun, Banda Aceh, Gayo Lues, Langsa, Lhokseumawe, Pidie, Sabang, Simeulue Island (formerly part of Aceh Barat), Nagan Raya, Aceh Tamiang, and Bener Meriah. Some local areas are pushing to create new autonomous areas, usually with the stated goal of enhancing local control over politics and development. In Aceh Singkil regency, there is a demand to establish the municipality of Subulussalam and in the town of Pidie, around eight districts are seeking to develop a new regency which will be named Meuredu or Pidie Jaya. Ethnic and cultural groups Aceh is a diverse region occupied by several ethnic and language groups. The major ethnic groups are the Acehnese (who are distributed throughout Aceh); Gayo (in Aceh Tengah and some parts of Aceh Timur, Bener Meriah and Gayo Lues); Alas (in Aceh Tenggara); Tamiang (in Aceh Tamiang); Aneuk Jamee (concentrated in Aceh Selatan and Aceh Barat Daya); Kluet (in Aceh Selatan); Nieh (in Pulau Banyak and Simeulue) and Simeulue (on Simeulue Island). There is also a significant population of Chinese, who came with the Dutch in the 1800s to provide cheap labor. Many did well under the Dutch, and remain influential in the business and financial communities. Aceh language (Basa Aceh) is widely spoken within Acehnese population. This language is different from Malay group of languages, although the contemporary language uses many words derived from Malay. Basa Aceh had also been enriched by Arabic and traditionally was written using Arabic script. Basa Aceh is also used as local language by Malays in Langkat and Asahan (North Sumatera), and Kedah (Malaysia), and once dominated Pulau Pinang. Alas and Kluet languages are believed to be from the same language which developed into different dialect. Jamee language was originated from Minang language in Western Sumatra, with just a few variation and differences. The region also has a substantial population of Arab and Turkish descent. There is small group of Western European descendants who live in Kecamatan Jaya, Aceh Jaya. Many of them have blonde hair, white skin and blue eyes. They are the descendants of Portuguese soldiers and settlers who occupied a section of Daya (Lamno) area in 16th century, and later converted to Islam and assimilated with the local population. They live with Acehnese traditions and only speak Achinese and Indonesian. BERIKUT ADALAH KISAH PERANG ACHEH DI MANA JATUHNYA SERAMBI MEKAH ACHEH DI TANGAN BELANDA OLEH SEORANG PEMUKA ATAU PEMAIN “TAICHI” ISLAM BERBANGSA BELANDA BERNAMA DR SNOECK HURGRONJE. KISAH INI SEAKAN ATAU SEIRAS SERUPA DENGAN SENARIO KITA SEKARANG, IAITU DI MALAYSIA HARI INI SELAGI MEREKA TAK MASUK ISLAM, MENGUCAP, BELAJAR ISLAM SECARA SAH DENGAN PERKIM DAN LAIN-LAIN REALITI DIBUKTIKAN MEREKA MUSLIM SEBENAR, MAKA ADALAH WAJIB KITA TIDAK LENA ATAU TELAN BULAT-BULAT YANG MEREKA TU IKHLAS KEPADA ISLAM DAN ORANG MELAYU. ADALAH DISEDARI BAHAWA DEWASA INI RAMAI YB DARIPADA DAP DAN PKR YANG BUKAN ISLAM TETAPI GHAIRAH GUNAKAN AYAT AL QURAAN DLL DALAM UCAPANNYA. 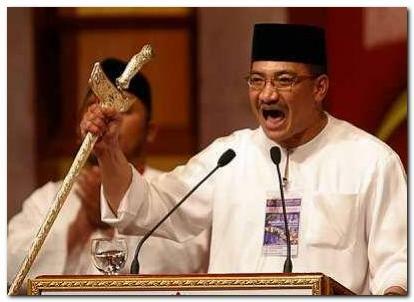 ADA JUGA YANG CAKAP AMAL MAKRUF NAHI MUNGKAR SERTA IKUT DOKRIN KHALIFAH UMAR ABDUL AZIZ. KALAU MEREKA BERIMAN, KENAPA TIDAK MASUK ISLAM? OLEH ITU KERANA SEJARAH ALAM MELAYU TELAH TERBUKTI MACAM TULISAN DI BAWAH… MAKA TAICHI ISLAM MEREKA INI ADA BAIKNYA DIPERHATI SERTA DIHALUSI KEIHLASAN SERTA KEIKHSANANNYA. Pada 1892 dan 1893, pihak Belanda menganggap bahwa mereka telah gagal merebut Aceh. Dr. Snoeck Hurgronje, seorang ahli Islam dari Universitas Leiden yang telah berhasil mendapatkan kepercayaan dari banyak pemimpin Aceh, kemudian memberikan saran kepada Belanda agar serangan mereka diarahkan kepada para ulama, bukan kepada sultan. Saran ini ternyata berhasil. Dr Snouck Hurgronye yang menyamar selama 2 tahun di pedalaman Aceh untuk meneliti kemasyarakatan dan ketatanegaraan Aceh. Hasil kerjanya itu dibukukan dengan judul Rakyat Aceh ( De Acehers). Dalam buku itu disebutkan rahasia bagaimana untuk menaklukkan Aceh. Mengesampingkan golongan Keumala (yaitu Sultan yang berkedudukan di Keumala) beserta pengikutnya. Senantiasa menyerang dan menghantam kaum ulama. Jangan mau berunding dengan para pimpinan gerilya. Mendirikan pangkalan tetap di Aceh Raya. Menunjukkan niat baik Belanda kepada rakyat Aceh, dengan cara mendirikan langgar, masjid, memperbaiki jalan-jalan irigasi dan membantu pekerjaan sosial rakyat Aceh. Pada tahun 1898, J.B. van Heutsz dinyatakan sebagai gubernur Aceh pada 1898-1904, kemudian Dr Snouck Hurgronye diangkat sebagai penasehatnya, dan bersama letnannya, Hendrikus Colijn (kelak menjadi Perdana Menteri Belanda), merebut sebagian besar Aceh. Sultan M. Daud akhirnya meyerahkan diri kepada Belanda pada tahun 1903 setelah dua istrinya, anak serta ibundanya terlebih dahulu ditangkap oleh Belanda. Kesultanan Aceh akhirnya jatuh seluruhnya pada tahun 1904. Istana Kesultanan Aceh kemudian di luluhlantakkan dan diganti dengan bangunan baru yang sekarang dikenal dengan nama Pendopo Gubernur. Pada tahun tersebut, hampir seluruh Aceh telah direbut Belanda. Taktik perang gerilya Aceh ditiru oleh Van Heutz, dimana dibentuk pasukan marsuse yang dipimpin oleh Christoffel dengan pasukan Colone Macannya yang telah mampu dan menguasai pegunungan-pegunungan, hutan-hutan rimba raya Aceh untuk mencari dan mengejar gerilyawan-gerilyawan Aceh. Taktik berikutnya yang dilakukan Belanda adalah dengan cara penculikan anggota keluarga Gerilyawan Aceh. Misalnya Christoffel menculik permaisuri Sultan dan Tengku Putroe (1902). Van Der Maaten menawan putera Sultan Tuanku Ibrahim. Akibatnya, Sultan menyerah pada tanggal 5 Januari 1902 ke Sigli dan berdamai. Van Der Maaten dengan diam-diam menyergap Tangse kembali, Panglima Polem dapat meloloskan diri, tetapi sebagai gantinya ditangkap putera Panglima Polem, Cut Po Radeu saudara perempuannya dan beberapa keluarga terdekatnya. Akibatnya Panglima Polem meletakkan senjata dan menyerah ke Lo’ Seumawe (1903). Akibat Panglima Polem menyerah, banyak penghulu-penghulu rakyat yang menyerah mengikuti jejak Panglima Polem. Taktik selanjutnya, pembersihan dengan cara membunuh rakyat Aceh yang dilakukan dibawah pimpinan Van Daalen yang menggantikan Van Heutz. Seperti pembunuhan di Kuta Reh (14 Juni 1904) dimana 2922 orang dibunuhnya, yang terdiri dari 1773 laki-laki dan 1149 perempuan. Taktik terakhir menangkap Cut Nya’ Dien istri Teuku Umar yang masih melakukan perlawanan secara gerilya, dimana akhirnya Cut Nya’ Dien dapat ditangkap dan diasingkan ke Sumedang, Jawa Barat. Sementara pada masa kekuasaan Belanda, bangsa Aceh mulai mengadakan kerjasama dengan wilayah-wilayah lain di Indonesia dan terlibat dalam berbagai gerakan nasionalis dan politik. Sarekat Islam, sebuah organisasi dagang Islam yang didirikan di Surakarta pada tahun 1912, tiba di Aceh pada sekitar tahun 1917. Ini kemudian diikuti organisasi sosial Muhammadiyah pada tahun 1923. Muhammadiyah membangun sebuah sekolah Islam di Kutaraja (kini bernama Banda Aceh) pada tahun 1929. Kemudian pada tahun 1939, Partai Indonesia Raya (Parindra) membukan cabangnya di Aceh, menjadi partai politik pertama di sana. Pada tahun yang sama, para ulama mendirikan PUSA(Persatuan Ulama Seluruh Aceh), sebuah organisasi anti-Belanda. INI ADALAH SEJARAH PERJUANGAN ISLAM ATAU RUMPUN MELAYU DI ACHEH. SEJAUHMANA KITA MELIHAT SEJARAH SEBAGAI PEDUMAN HIDUP? SEBAB SEJARAH TIDAK MENIPU. SEBALIKNYA MANUSIALAH YANG SENTIASA GUNAKAN SEJARAH UNTUK MENIPU DENGAN MENGUBAH FAKTA DAN KESAHIHAN SEJARAH. BUKAN RACIST ATAU PERKAUMAN… HANYA SEKADAR PERSOALAN DAN MOTIVASI HIDUP.